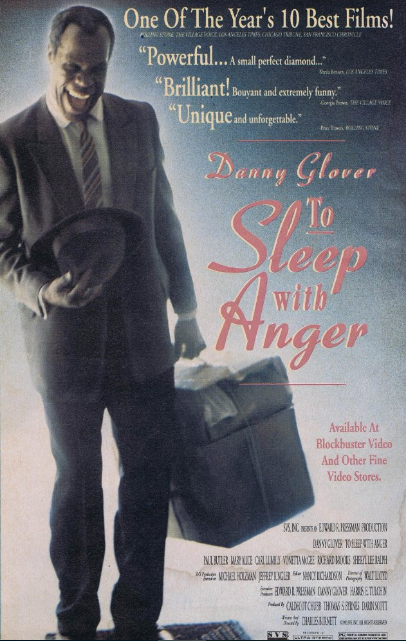 Cast: Danny Glover (Harry), Paul Butler (Gideon), DeVaughn Nixon (Sunny), Mary Alice (Suzie), Reina King (Rhonda), Cory Curtis (Skip), Richard Brooks (Babe Brother), Sheryl Lee Ralph (Linda), Carl Lumbly (Junior), Vonetta McGee (Pat). Story: Danny Glover stars as Harry Mention, a mysterious drifter from the South who visits an old acquaintance (Paul Butler), now leading a middle-class life with his family in South Central Los Angeles. Though imbued with charm and traditional manners, Harry has a knack for mischief that creates powerful rifts throughout the family. Source: Film Society Lincoln Center; IMDB.